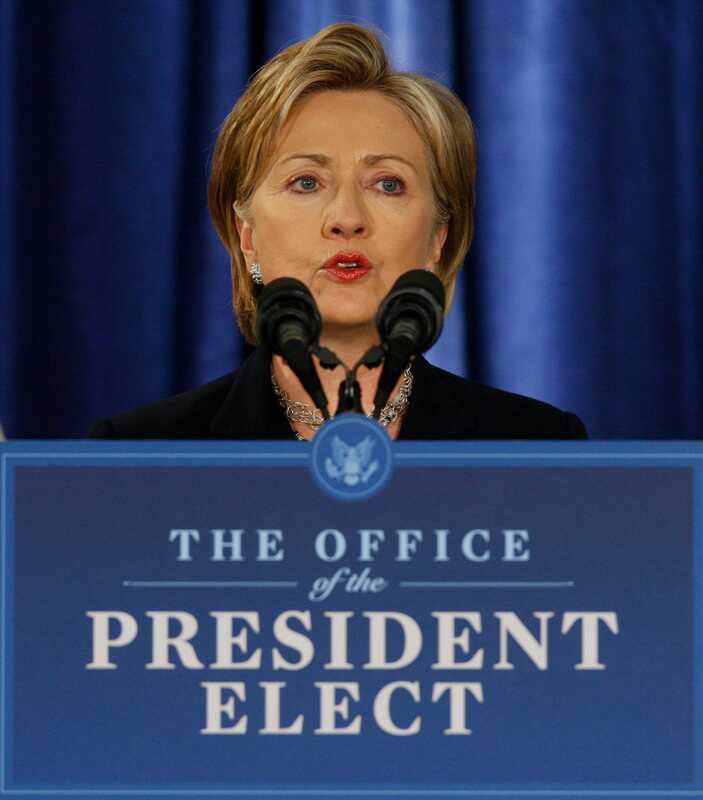 Hillary Clinton seems to have a very clear path to the White House in 2016. A slew of polls have shown her leading all her likely Democratic primary rivals. While that kind of prime positioning obviously has its advantages, being the front-runner hasn’t worked for four Democrats in recent races — including Clinton in 2008. In a recent piece, the New Yorker’s Ryan Lizza spoke to experts who warned Clinton could fall into this “inevitability trap” once again in the next election. On Friday, top Clinton supporters gathered in New York City for a meeting of the finance council of “Ready For Hillary,” a super PAC dedicated to backing her potential candidacy. Many of them shot down the notion Clinton has the White House locked up. Ready For Hillary Executive Director Adam Parkhomenko devoted much of his sitdown with reporters at the event to batting down the idea Clinton is inevitable. “In terms of inevitability, I wouldn’t have been doing this since Jan. 2013 if I thought she was inevitable,” Parkhomenko said at the event, which was held at the Sheraton Times Square hotel. Political consultant James Carville, a veteran Clinton ally, put things in even more blunt terms. Lanny Davis, another longtime Clinton loyalist, concurred with Carville and blamed the media for creating a false sense of Clinton’s inevitability. Stephanie Schriock, the president of EMILY’s List, a group dedicated to supporting pro-choice Democratic women, argued those who see Clinton as inevitable are ignoring the fact voters have desire for change after eight years of President Barack Obama. Schriock is rumoured to be one of the leading candidates to manage Clinton’s White House bid. However, she declined to discuss whether she could play a role on Clinton’s campaign. “I’m not going to talk about any conversations I may or may not be having with any candidate who may or may not be running,” she said. For his part, Parkhomenko pointed to the fact history making nature of a potential Clinton candidacy as evidence she should not be seen as a lock. Parkhomenko also pointed out she hasn’t officially entered the race. “Hillary Clinton hasn’t made up her mind,” he said. Parkhomenko also reminded reporters at the event of Clinton’s loss in 2008, when she was widely seen as inevitable before being upset by Obama. “It’s important to note that, if you go back and you look at a lot of the stories that some of the folks in this room wrote at this time in the 2008 cycle, it was ‘Hillary Clinton vs. Rudolph Giuliani’ — and we know how that turned out,” he said.